Brouse McDowell, a business law firm based in Northeast Ohio, is pleased to announce that as of January 1, 2019, David Sporar was elected as a partner in the firm. Further, two partners were named as new practice leaders, including Jodi Spencer Johnson as a co-chair of the firm’s Insurance Recovery Practice Group, and Bridget Franklin as a co-chair of the Business Restructuring, Bankruptcy & Commercial Law Practice Group. 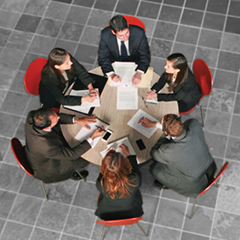 Sporar is a member of the firm’s Litigation Practice Group. He represents clients in a wide range of matters in both state and federal courts that predominantly involve business disputes, including breach of contract, business competition, trade secrets, intellectual property, insurance recovery, labor and employment, and appeals. Sporar also has represented clients in disputes involving real estate, title insurance, oil and gas interests, and civil rights. Prior to joining the firm, he served as a judicial law clerk for the Honorable Nancy A. Vecchiarelli, United States Magistrate Judge, in the United States District Court for the Northern District of Ohio. Sporar earned his J.D. from Cleveland-Marshall College of Law. Johnson is co-chair of the Insurance Recovery Practice Group. She has practiced in the area of insurance recovery for over 15 years, advising and representing corporate policyholders in liability and first-party insurance matters. Johnson has secured defense and indemnity for clients faced with mass tort, asbestos and environmental liabilities, obtained favorable rulings on bad faith claims, and has advised and represented corporate policyholders seeking coverage for business-interruption claims, property claims, directors-and-officers-liability coverage, commercial-crime and fidelity-bond coverage. She has also worked with individual policyholders regarding their personal lines of insurance, including homeowners insurance. Johnson has litigated in the courts of several states and in several federal district and circuit courts. She was among the inaugural class in Ohio certified as an Insurance Coverage Law Specialist by the Ohio State Bar Association, and she now serves on the state bar’s Insurance Coverage Specialty Board. Johnson earned her J.D. from The University of Toledo College of Law, where she was Note and Comment Editor for The University of Toledo Law Review and a member of The Order of the Coif. Franklin is co-chair of the Business Restructuring, Bankruptcy and Commercial Law Practice Group. She represents debtors, creditors, and creditors’ committees in numerous federal and state-court reorganization, liquidation, and insolvency proceedings. Franklin advises clients on various commercial disputes and collection matters. She also negotiates commercial agreements, including supply agreements, security agreements, financing agreements, and terms and conditions. In her insurance litigation practice, Franklin has experience representing and advising clients in insurance recovery actions as well as in title insurance disputes. She graduated with her J.D. from The Ohio State University Moritz College of Law.